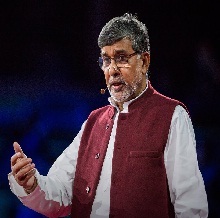 Kailash Satyarthi (born 'Kailash Sharma'; 11 January 1954) is an Indian children's rights and education advocate and an activist against child labor. 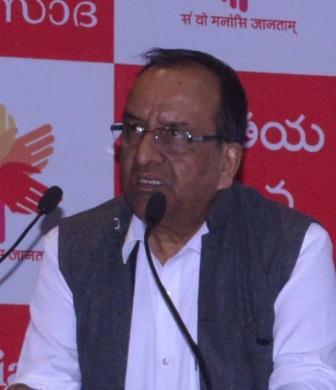 He founded the Bachpan Bachao Andolan in 1980. His work is recognized through various national and international honors and awards including the Nobel Peace Prize of 2014.
" 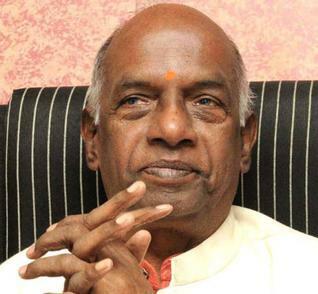 Youth For Politics & Society"
Kodipakam Neelameghacharya Govindacharya (born 2 May 1943) is a Rashtriya Swayamsevak Sangh pracharak, environmental activist, social activist, political activist and thinker. He was associated with Bharatiya Janata Party but is now a staunch critic of that party as much as he is a critic of the Indian National Congress. Former BJP MLA from Rajgarh, Madhya Pradesh Sri Raghunandan Sharma (Mandsaur) (born 1946), also former BJP MP, currently Chief Adviser of BPST. 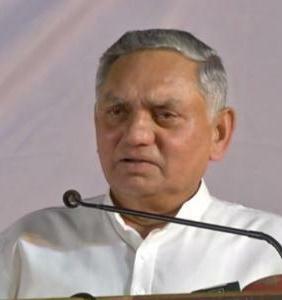 Prof. Janardan Dwivedi, General Secretary- AICC was born in Lodhawara in the present-day Chitrakoot district, Uttar Pradesh. 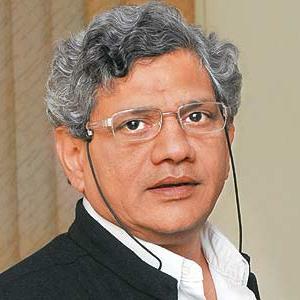 In May 2009 he took charge from Veerappa Moily as Manager of Media Department of Congress in addition to serving as the party General Secretary. he is now the general secretary of national congress party. He was on the four member committee that included Rahul Gandhi, A.K.Antony and Ahmed Patel to look after the party's affairs in Sonia Gandhi's absence. 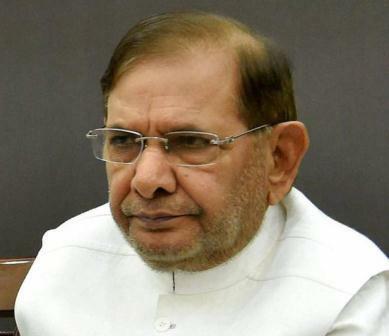 Sharad Yadav is a politician from the Janata Dal party. He has been elected to Lok Sabha seven times and to Rajya Sabha twice. 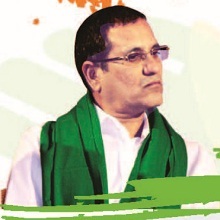 He has been the national president of Janata Dal since its formation. 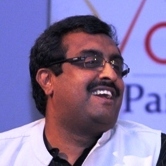 Ram Madhav is an Indian politician, writer and journalist. He serves as the National General Secretary of the Bharatiya Janata Party. 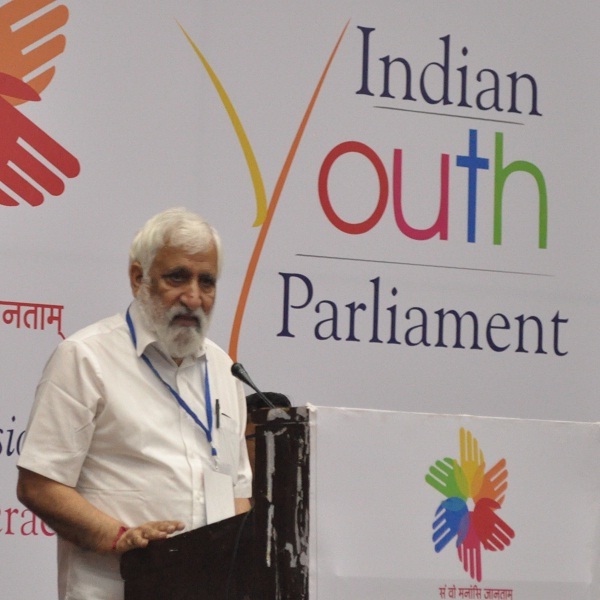 He is a former member of the National Executive of the Rashtriya Swayamsevak Sangh and has authored several books. Served as Member, Rajasthan Legislative Assembly (four terms), Minister of Panchayati Raj, Education, Rural Development, Public Health Policy & Planning and Information Technology, Government of Rajasthan. Union Cabinet Minister, Rural Development and Panchayati Raj,Union Cabinet Minister, Road Tansport and Highways and former President,Rajasthan Pradesh Congress Committee. 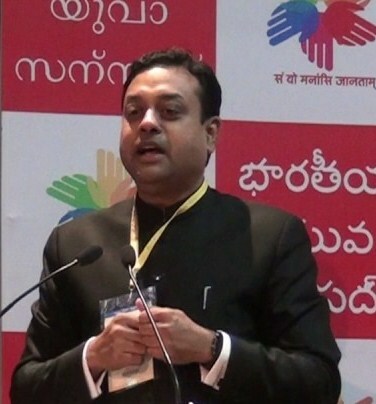 Sambit Patra (born 13 December 1974) is one of the official spokespersons of Bharatiya Janata Party with the designation of National Spokesperson of the party and former Medical officer at Hindu Rao Hospital. He is an independent director on the board of Oil and Natural Gas Corporation Limited (ONGC) since October 28, 2017. 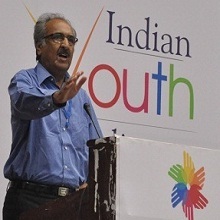 Sunil Ambekar is an Indian educationist, and veteran student activist. He is the National Organising secretary of the Akhil Bharatiya Vidyarthi Parishad. 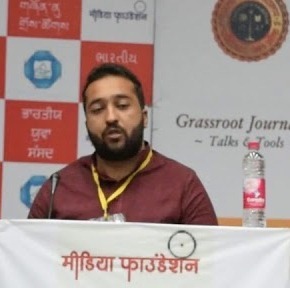 Ambekar led the organisation as organising secretary during the agitation against Bangladeshi infiltration; and most recently against corruption being the organising secretary of ABVP and advisory member to Youth Against Corruption. 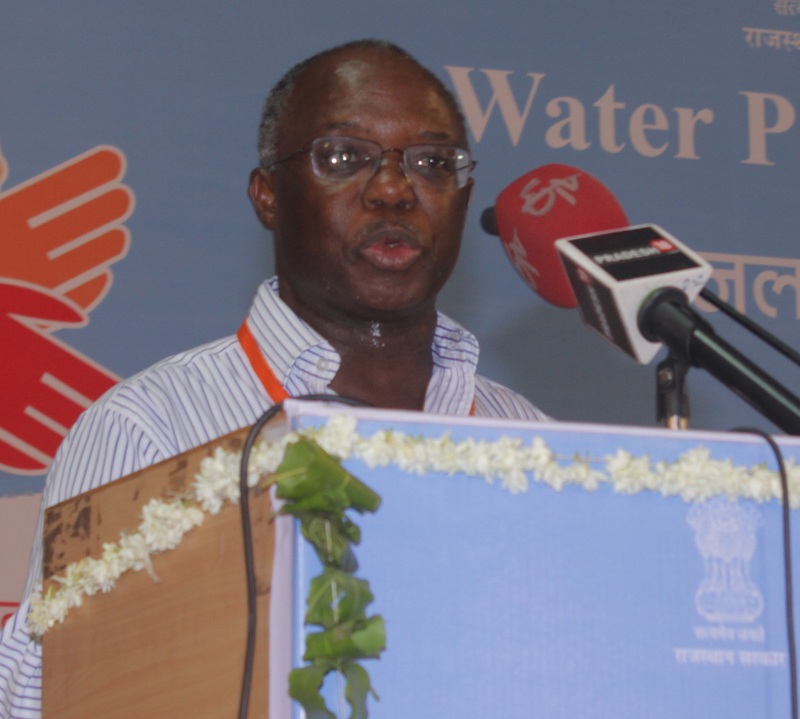 Ambekar also played an instrumental role in inspiring Think India, the forum for national institutes' students. 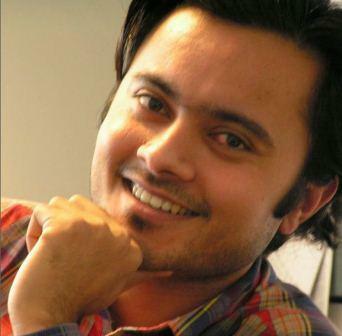 Saurabh Dwivedi is the Founding Editor of The Lallantop. India’s most talked about vernacular digital first news venture known for its election coverage and new age writing style. 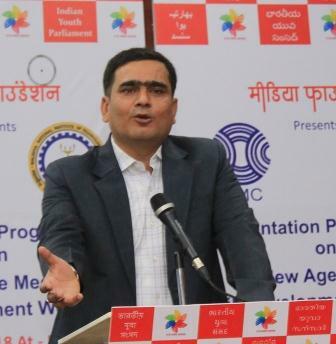 Dwivedi is famous for his news web series titled ‘Political Kisse’ which has millions of views on video sharing sites. Before Lallantop, he worked with Aajtak, Star News, Dainik Bhaskar and Nav Bharat Times. University In-charge of ABVP This ABVP activist holds BCom and DBM degrees from Nagpur and is associated with the union since 1990. Borikar is known for his great organisational skills and aggressive "national integration" and "anti-Bangladeshi migration" campaigns, through which the right-wing students' union grew five-fold in Assam at the cost of All Assam Students Union. He had tasted similar success in Jammu & Kashmir where he served for six years. BJP politician Sanwar Lal Jat is a Union Minister of State, Water Resources and MP of constituency from Ajmer, Rajasthan. and former cabinet minister in Government of Rajasthan. He held portfolios of irrigation, Indira Gandhi Nahar Pariyojana, PHED, CAD, Ground Water Dev. 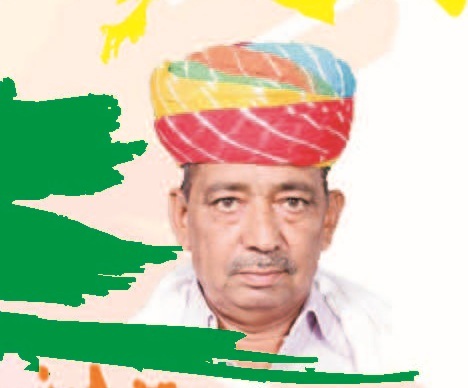 He won election to Rajasthan Legislative Assembly from Nasirabad, Ajmer in Ajmer district. He is a senior leader of state Bharatiya Janata Party.At Present Prof. President of Kishan Ayog Rajasthan. 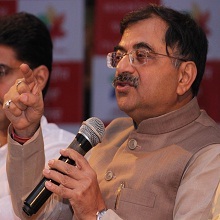 Tarun Vijay (born in 1961) is an Indian author, thinker, social worker, journalist, and parliamentarian. 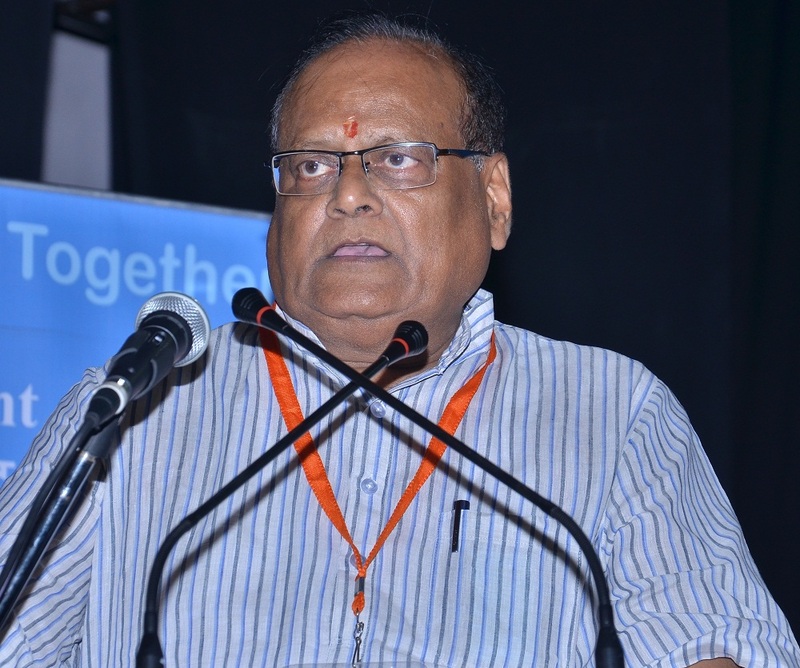 He was the editor of the RSS weekly in Hindi, Panchajanya, from 1986 to 2008. 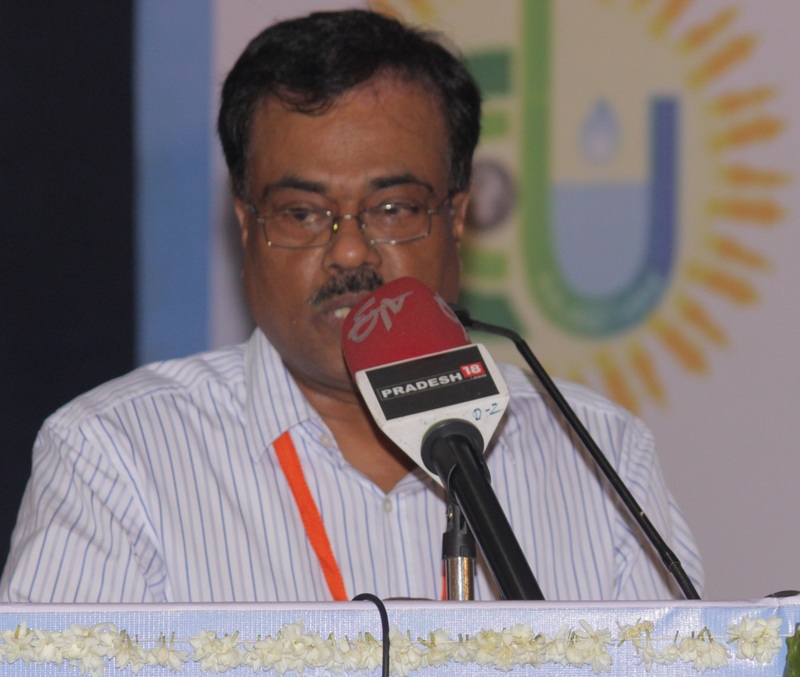 He is currently working as the director of the Dr. Syamaprasad Mookerjee Research Foundation (DSMRF). He was also elected member of Rajya Sabha till his Term ended in July 2016. 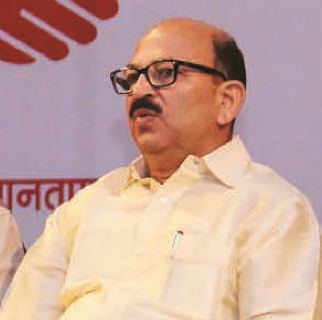 Narayan Lal Panchariya is a Chief Whip of BJP in Rajya Sabha, Member of Parliament in Rajasthan. He was elected to Rajya Sabha in the 2014 election. He lives in the Jodhpur district in Rajasthan. Kavindra Gupta also poet & social activist, before this he worked as Mayor of Jammu City. 15 Sep., 2017 Central Hall, IGPRS, Jaipur - "Democracy & Agenda for Sustainable Development"
Ram Niwas Goel is an Indian politician who has been a member of the Delhi Legislative Assembly since 2015. He is a member of the Aam Aadmi Party and represents the Shahdara constituency of Delhi. 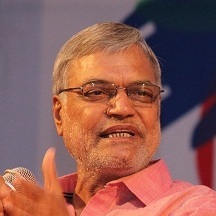 Rao Rajendra Singh is a leader of Bharatiya Janata Party. He is a Deputy Speaker of Rajasthan Legislative Assembly and member of elected from Shahpura in Jaipur district.Leader of Shahpura who believs in Hard work, truth, transparency and honesty. His place of birth is Shahpura and the birth date is 28th June 1958. He is always very keen to work for the improvements of our society and the country. Pradyot Deb Barman, also known as P. B. K. Manikya (born July 4, 1978), is the head of the Royal Family of Tripura. He was born in Delhi, and now resides in Tripura, Agartala. 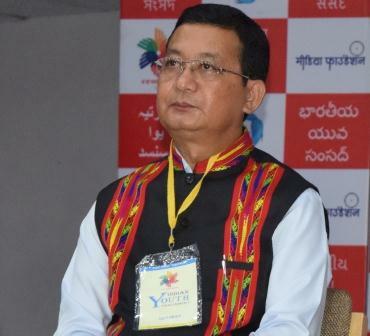 He is the Working President of the Tripura Pradesh Congress, as well as serving as editor of TNT-The Northeast Today. 05 March, 2017 Assembly Hall, ICAI-Indore. MP - "Democracy & Space for Civil Society"
Fairoz Khan is an Indian student leader who is the national president of the National Students' Union of India (NSUI). He has a Bachelor of Science (BSc), Bachelor of Law (LLB) and Master of Arts (MA) in political science and is pursuing a postgraduate diploma in human rights and duties education from Jammu University. 17 Sep., 2017 Central Hall, IGPRS, Jaipur - "Democracy & Agenda for Sustainable Development"
Indian National Congress Leader DR. NGURDINGLIANA, MLA from Chalfilh Constituency. Presently he is serving as chairman of MAMCO. 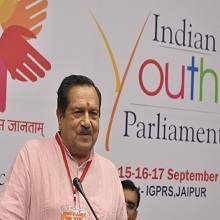 Indresh Kumar is a ideologue of Rashtriya Swayamsevak Sangh. He is a Margdarshak (Guide) The Muslim Rashtriya Manch. Muslim organisation in India, affiliated to the Hindu nationalist RSS. It was formed in 2002, to allow the Sangh Parivar to reach out to Muslims. 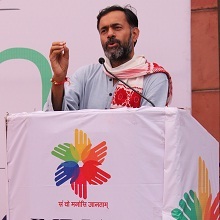 Yogendra Yadav born Salim Yadav is an Indian politician, psephologist and academic whose primary interests are in the political and social sciences. He is a former member of UGC and NAC on RTE appointed by UPA government. 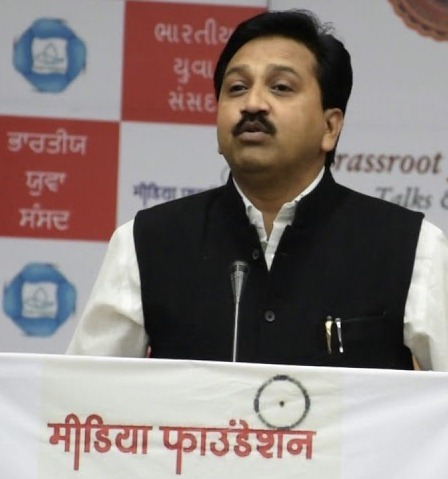 He was a member of the National Executive of the Aam Aadmi Party until 2015. 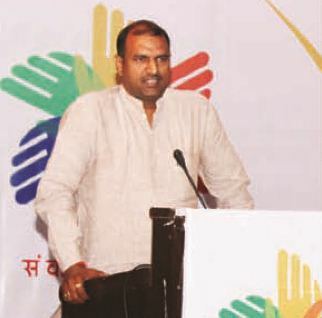 He is a founding member of Swaraj Abhiyan and Jai Kisan Andolan. Medha Patkar (born on 1 December 1954) is an Indian social activist working on various crucial political and economical issues raised by Tribals, Dalits,Farmers, labourers and Women facing injustice in India. 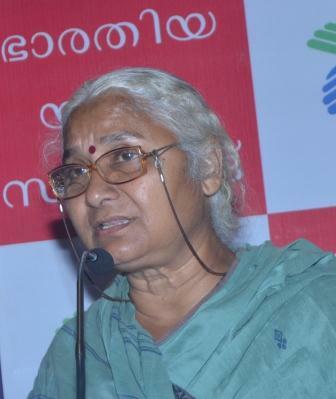 She is an alumnus of TISS, a premier institute of India.Patkar is the founder member of the 32 years old people's movement called Narmada Bachao Andolan (NBA) in three states: Madhya Pradesh, Maharashtra and Gujarat. Narmada Bachao Andolan (NBA) has been engaged in a struggle for justice for the people affected by the dam projects related to the Sardar Sarovar dams project, especially those whose homes will be submerged, but have not yet been rehabilitated. 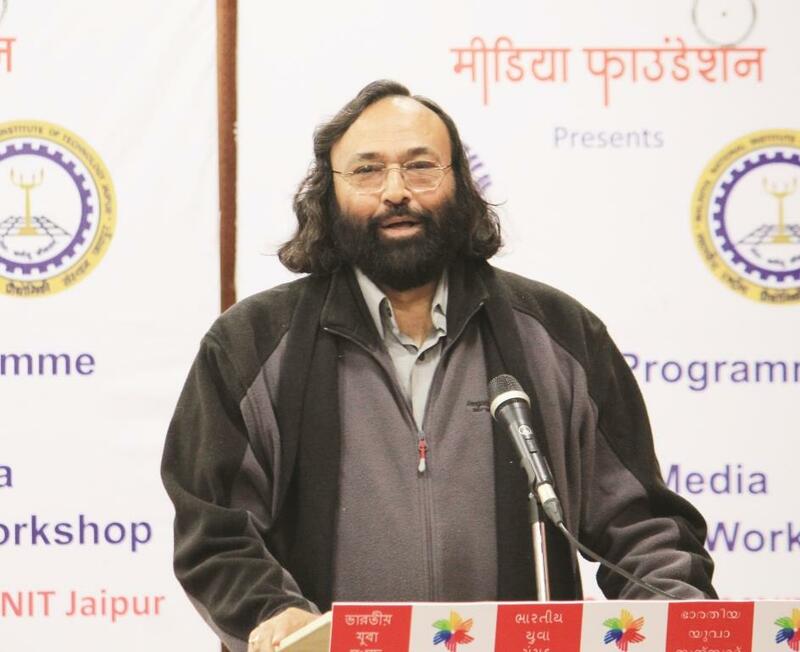 He is a writer, poet and journalist, presently working as programme director in Doordarshan. 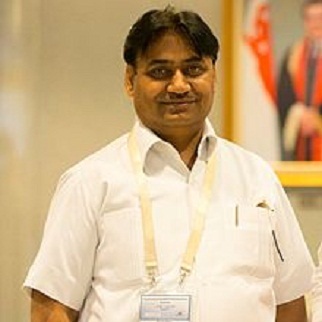 Jagdeep S. Chhokar was a professor (teacher, trainer, researcher, and advisor) of Management and Organisational Behaviour at the Indian Institute of Management, Ahmedabad, from 1985 till November 2006. Prof. (Dr.) Kuldip Chand Agnihotri joined the Central University of Himachal Pradesh as Vice-Chancellor on 20th April, 2015. Before joining this university, he was serving in Punjab School Education Board as its Vice-Chairman. 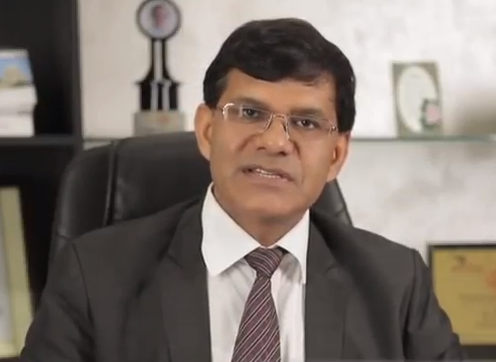 Dr. Raj Singh Joins Ansal University Gurgaon as Vice Chancellor. 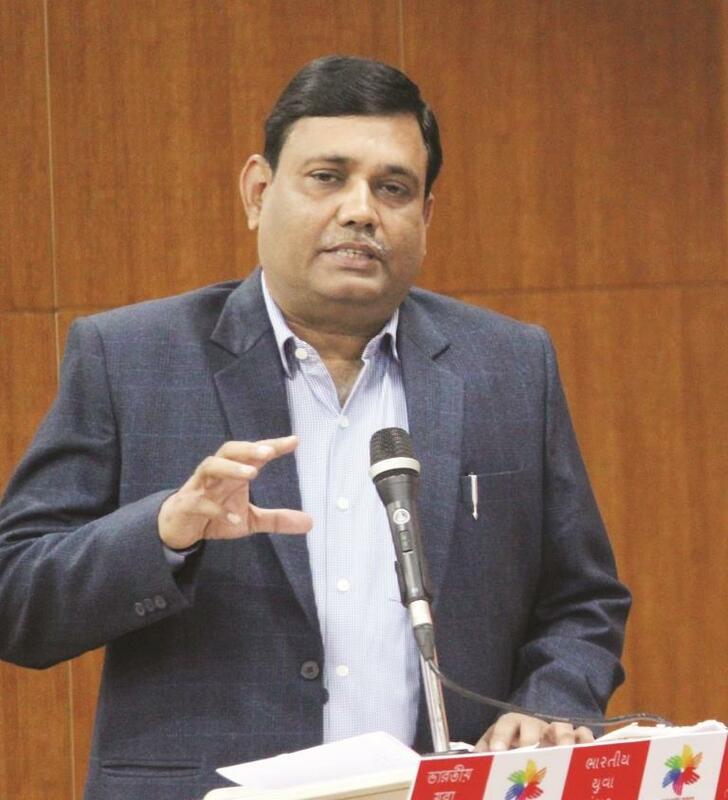 Dr. Raj singh joins as a new vice chancellor at Ansal University, Gurgaon, Haryana. Incidentally, He was the VC during the inception of Ansal University in 2012. 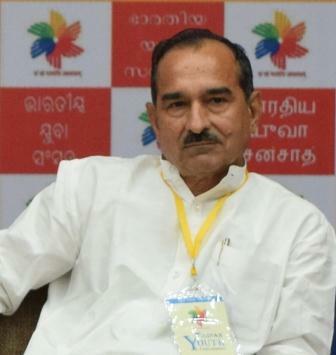 Prof. Adya Prasad Pandey is an Indian economist and academic. As of December 2016, he serves as Vice Chancellor of Manipur University. 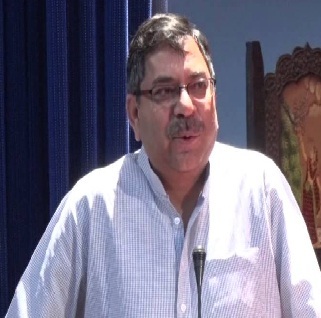 Professor Adya Prasad Pandey has been appointed by President of India Professor Pandey has been Head in Department of Economics in Banaras Hindu University . He is working there from 1979 and has experience in different related fields. 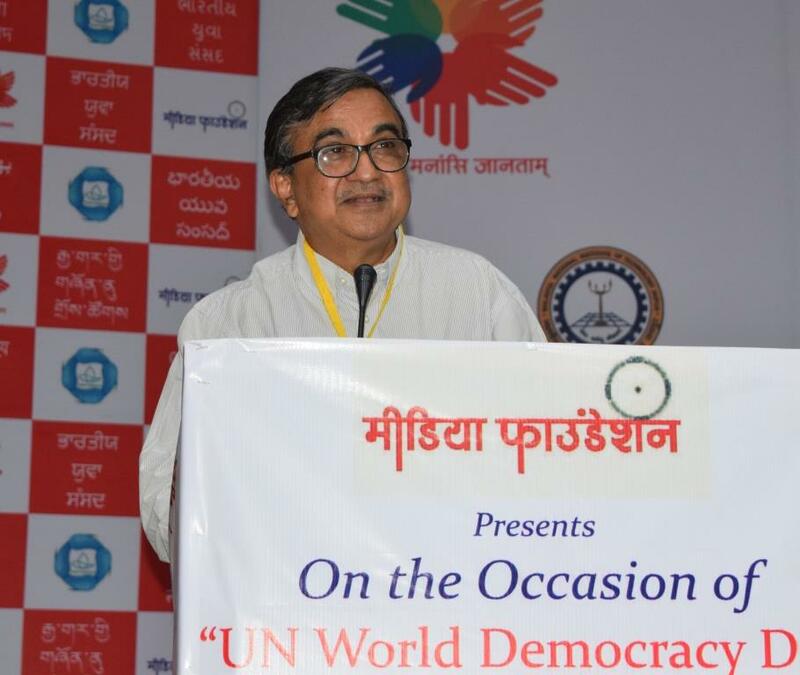 16 Sep., 2017 Central Hall, IGPRS, Jaipur -"Democracy & Agenda for Sustainable Development"
Singhal is a former principal of Agrawal PG college and the state government's nominee in the decision making body of the university. 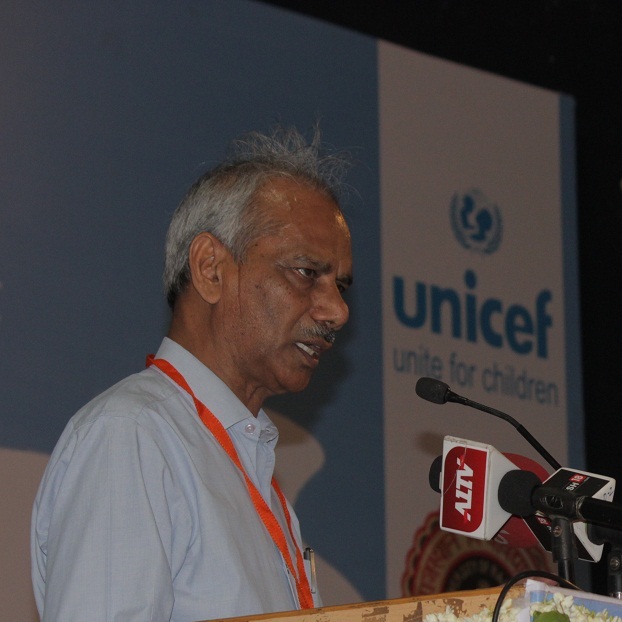 He served as the vice chancellor of University of Rajasthan. Presently he is a National President of ABRSM. 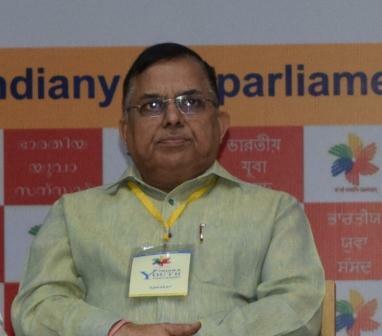 Veteran journalist Shravan Garg has decided to retire and exit from Nai Dunia newspaper. He was officially given a farewell on the last day of October. His future plans are not known yet. 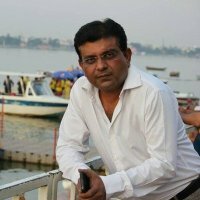 After serving as Editor and Group Editor at Dainik Bhaskar, Garg joined Jagran Group and assumed responsibility as Chief Editor of Nai Dunia. 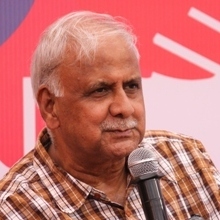 Garg has over four decades of experience in English, Hindi and Gujarati journalism. State Information Commissioner. Formerly Journalist & Resident Editor, Rajasthan Patrika ,Jaipur. 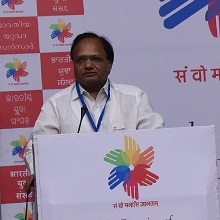 Rameshwar Lal Dudi is leader of opposition in Rajasthan Legislative Assembly. Dudi is a first-time legislator and got elected from Nokha constituency in Bikaner district. He was once a Congress MP also and represented Bikaner parliamentary seat in Lok Sabha from 1999 to 2004. Before being elected as a legislator this timea or as a parliamentarian in 1999, Dudi was into politics at the panchayati raj level. He was elected as a Pradhan in 1995 from Nokha. Sachin Pilot (born 7 September 1977) is a politician and a member of the Indian National Congress. 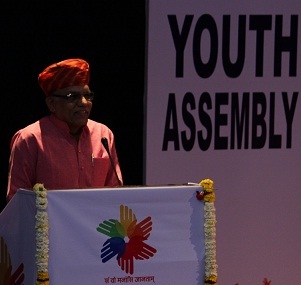 He represented Ajmer constituency of Rajasthan at member of Indian Parliament in the 15th Lok Sabha. He was Minister of Corporate Affairs and the President of Rajasthan Pradesh Congress Committee. 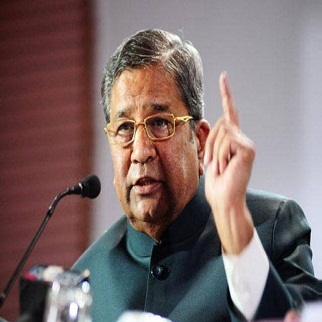 Ghanshyam Tiwari (born December 19, 1947) former education minister in Government of Rajasthan. He held position of deputy leader of Opposition in 13th Rajasthan assembly and currently he is sitting MLA from Sanganer Assembly constituency. 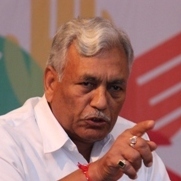 born in Sikar, Tiwari is Graduate in commerce from Shri Kalyan College Sikar and did his Law education from Rajasthan University He won his first Rajasthan Assembly election from Sikar in 1980 and again in 1985. 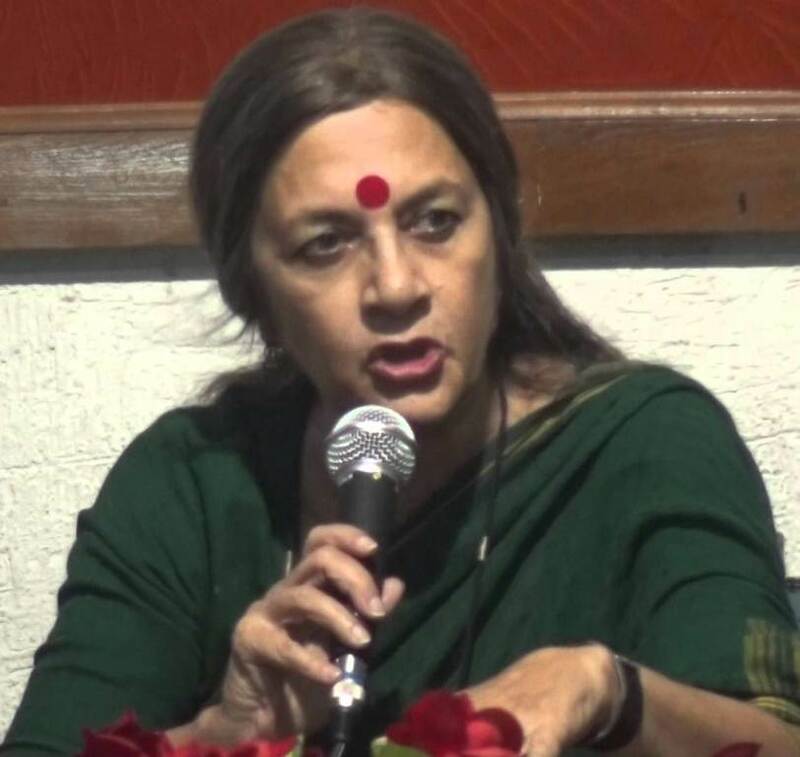 Kiran Maheshwari is an Indian politician belonging to the BJP. 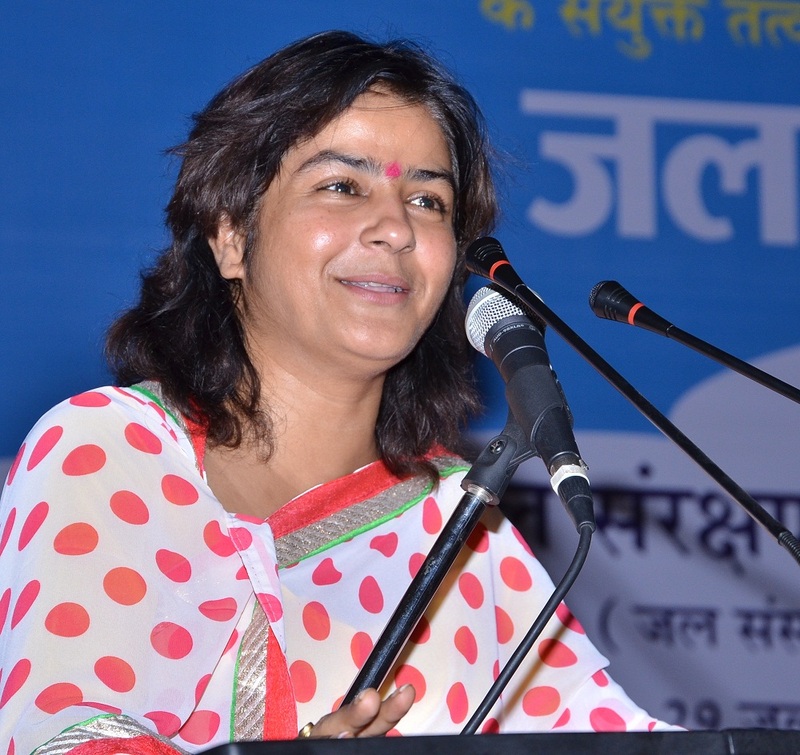 She is currently Cabinet Minister in Rajasthan Government, and one of the eleven national Vice Presidents of her party and is an MLA from the Rajsamand assembly seat of Rajasthan. She has served, previously, as a 14th Lok Sabha where she represented the Udaipur, Rajasthan. 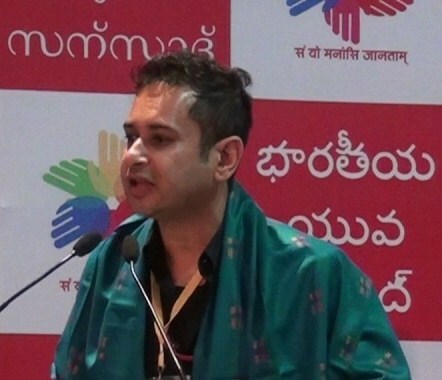 Professor Priyankar Upadhaya holds the UNESCO Chair for Peace and Intercultural Understanding at Banaras Hindu University(Asia's largest residential university), Varanasi. He also heads the Malaviya Center for Peace Research situated in the University. He is a MLA from Sumerpur, Pali. Before his political carrier he served various post of RSS. Presently he is a Chief Whip in Rajasthan Legislative Assemble. 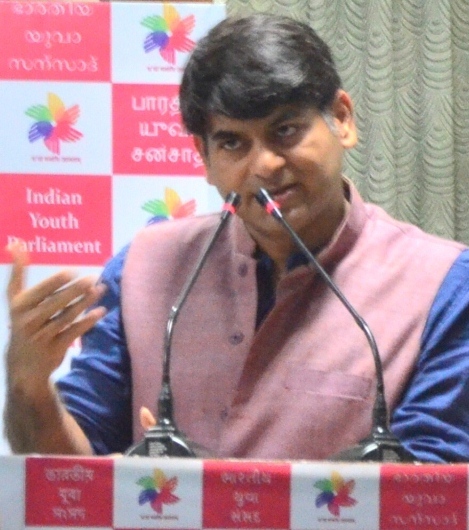 Vijai Trivedi is currently the Editor (National Affairs) News Nation Network Ltd. He is among India’s best known and most successful television anchors and journalists. Well regarded for his political and parliamentary reporting and hard hitting style of interviewing top political leaders and celebrities, he has won several journalism awards. He is the author of a biography of India’s first BJP prime minister Atal Bihari Vajpayee: Haar Nahi Manoonga: Ek Atal Jeevan Gatha. 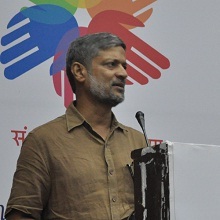 Nikhil Dey (born 1963) is an Indian social activist.He works for the MKSS, Suchna Evum Rozgar Adhikar Abhiyan and NCPRI. 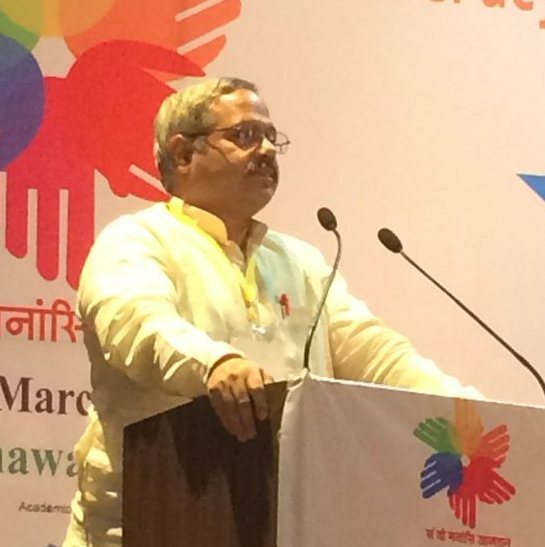 He has been actively working for Right to Information, Mahatma Gandhi National Rural Employment Guarantee Act, Lokpal bill and Right to Food and other Human Rights organisations. 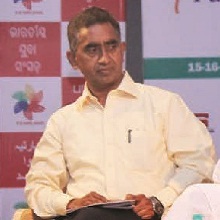 Manvendra Singh is an Indian politician. 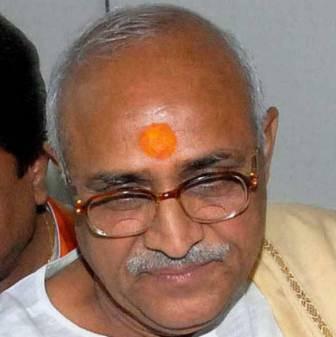 He was formerly a member of the Bharatiya Janta Party and was expelled from it in April, 2014. He was the member of the 14th Lok Sabha of India from 2004-2009 representing the Barmer-Jaisalmer constituency of Rajasthan. 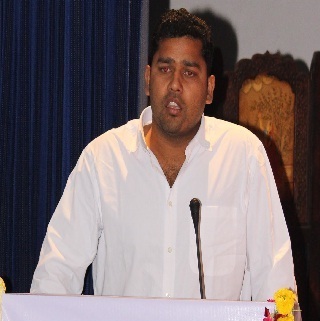 Cricketer-turned-politician and Congress candidate from Bhilwara Ashok Chandna was elected as state president of Rajasthan Youth Congress in 2013. Pratap Singh Khachariyawas is an Indian National Congress politician from Rajasthan. He was born to Laxman Singh Shekhawat and Himmat Kanwar. He is nephew of Bhairon Singh Shekhawat, the former vice president of India. 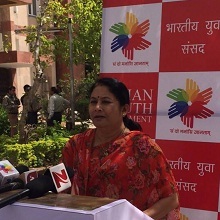 Member of the Legislative Assembly from Jaipur city of Rajasthan in India. He is a leader of Bharatiya Janata Party. He served as a minister in Raje ministry. He studied B Com from Commerce College and law from University Law College of University of Rajasthan. He is the Medical and Health, Medical and Health Services (ESI), Medical Education, Ayurveda & Indian Medical Methods minister of Rajasthan. he was President of university of Rajasthan. Young BJP leader & Member of Parliament from Chhitorgarh, former State President of BJP Yuva Morcha Rajasthan. Govind Singh Dotasra is a member of 14th Rajasthan Legislative Assembly and Deputy Whip of congress in Rajasthan Legislative Assembly. He represents the Laxmangarh constituency of sikar district of Rajasthan. Manan Chaturvedi is the proud mother of 98 adopted children. And from now on, she will also be recognised as the chairperson of Rajasthan State Commission for Protection of Child Rights. Professor of Political Science at Deen Dayal Upadhyay Gorakhpur University.